They serve a marinated bean sprout salad at one of the Japanese restaurants I really like, so of course, I wanted to try to make it at home. This is my best guess at how they make it. Regardless, I liked the taste and Thai basil (which they don’t add) gives it a nice flavor. 1. Mix the garlic, soy sauce/salt, honey, vinegar, lemon juice, sesame oil, red pepper flakes, and sesame seeds together in a large bowl. 2. Add the bean sprouts and Thai basil. Refrigerate for 10 mins and serve cold. 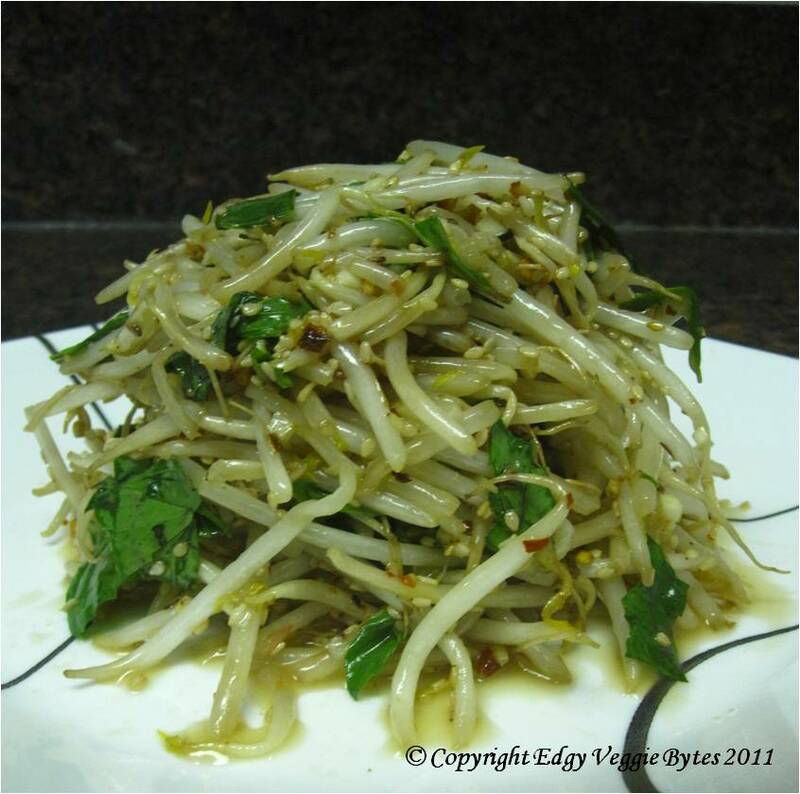 Bean sprout, I used to dislike it but it tastes good in soups and I began to like it now. Just want to share with you a French salad recipe, and it’s super healthy.